Do you ever run out of birthday cards? I do! I make them a lot but I always seem to run out of these cards, right when I need it the most. This gave me the motivation to make some birthday cards today. 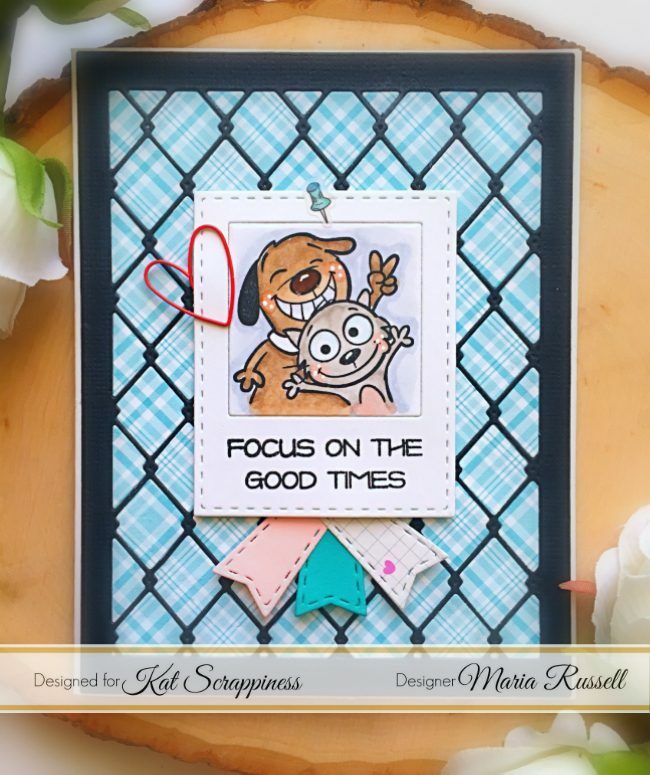 I am showcasing a lot of products from Kat Scrappiness. 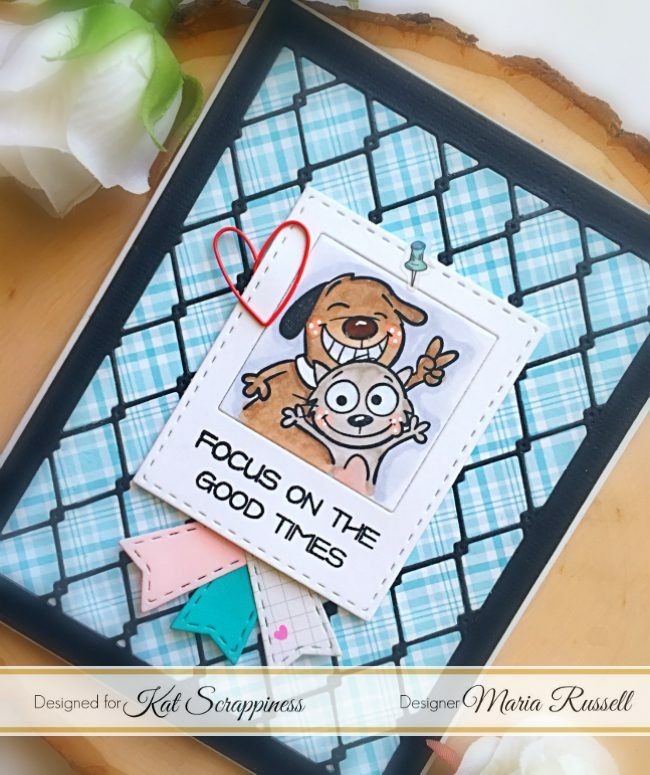 I used the new Stitched Scalloped Rectangle Dies, the Woodgrain Frame Diamond Wire Background Die, the Photo Booth 4 x 8 Clear Stamps by Your Next Stamp, the Photo Booth Polaroid die, the Stitched Flag Diesand the Everyday Brush Stroke stamp set by Kat Scrappiness. I started out by die-cutting the polaroid with some white card stock. I stamped the images on the inside of the polaroid, and colored them in with my Copic markers. I die-cut another piece of white card stock using the Stitched Scallop Rectangle Dies. To create my own patterned paper, I used the Everyday Brush Stroke stamp set to stamp the images on my card panel. I picked up the die-cuts and I temporarily placed them on top of my stamping tool so I can figure out the placement for the stamp images, as well as the polaroids. I die-cut the smallest of the Tag Banner Dies with the Lawn Fawn Gotta Have Gingham 6×6 patterned paper in different colors. 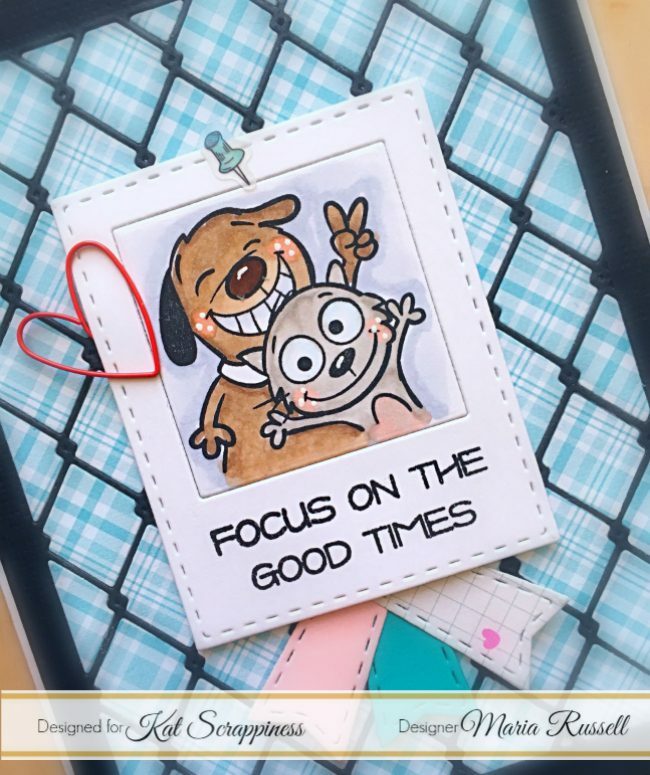 I assembled the card my adhering the polaroids on top of the stamped background. I added the tag banner dies behind one of the photos. I stamped the sentiment “Happy Birthday” from the Everyday Brush Stroke stamp set. To finish my design, I added some black dots to the background to fill in some empty spaces. Aren’t those images so adorable? I also love the colorful tag banner dies behind the photo. It made it look really festive! I really love how these cards turned out. It took me about half an hour to make one card so it wasn’t too bad. I will be mass-producing these cards so I can have them on hand. I inserted a heart-shaped paper clip and also included a push-pin sticker to make it look like a bulletin board. I hope you like my projects today and got inspired. Please visit www.katscrappiness.com to order the supplies I used. Don’t forget to use my coupon code “MARIA10” for 10% off your order. The supplies I used are listed and linked below. Have a wonderful day!